Jean Miller has 17 years experience as a psychotherapist in private practice with couples and individuals. She also trains therapists on a number of courses, with particular focus on couples work. Her work is founded in humanistic and integrative approaches to the field. Jean has a growing practice as a supervisor of counsellors and psychotherapists, as well as psychosexual and relationship therapists. 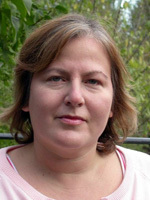 She is the nominated psychosexual and relationship supervisor for Ealing Abbey Counselling Service, and a member of the faculty of The London Diploma. She also trains therapists for NAOS and is an essay marker for counselling courses run by different organisations. She has a Diploma in supervision and consultancy, and is also accredited as a supervisor. Jean originally worked for The British Council and the Youth Exchange Centre based there, for several years, in roles which encouraged cultural exchanges between young people in The UK and other countries. She worked as a Childline counsellor. She then trained at Regent's College and The Whittington Hospital and gained BASRT (now COSRT) accreditation and UKCP registration in 2001. She is also BACP registered. She has a Diploma, from Westminster Pastoral Foundation, in working with adolescents, from a psychodynamic perspective, and subsequently includes young adults and older teenagers in her private practice client base. In addition to her counselling and training, she has also trained as a family mediator, and now also works in conflict resolution specialising in family rifts.